The IAAS is a member of the European Association of Livestock Markets (AEMB). 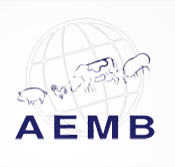 The AEMB which comprises of 350 markets was established in 1983 to defend and promote the role of livestock markets at international and European level. The IAAS is one of 11 national federations which are members.